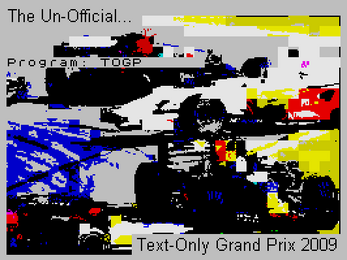 "Text-Only Grand-Prix 2009" features all the fun of typing, and none of the action, speed, thrills or spills of Formula 1 - including the Singapore night-race. 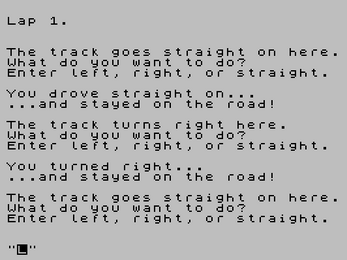 "This is certainly an artisan entry in the annals of the CGC. 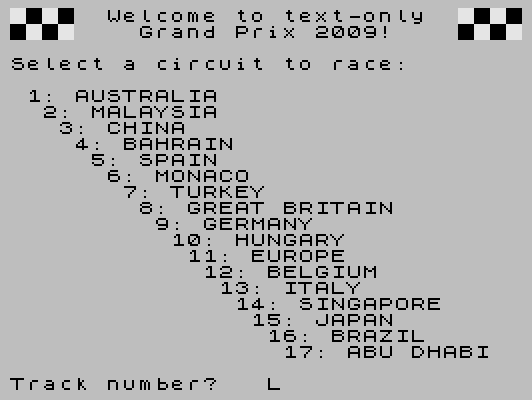 The thrills and spills of F1 racing completely neutered in the form of a text-only boredom-athon. 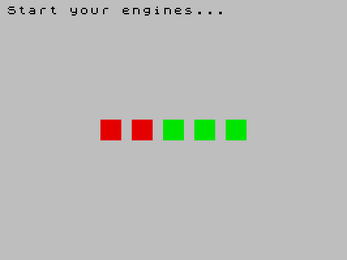 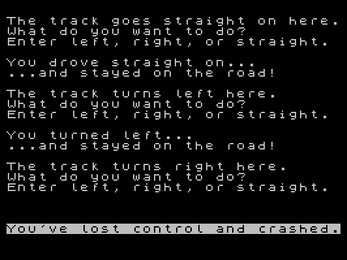 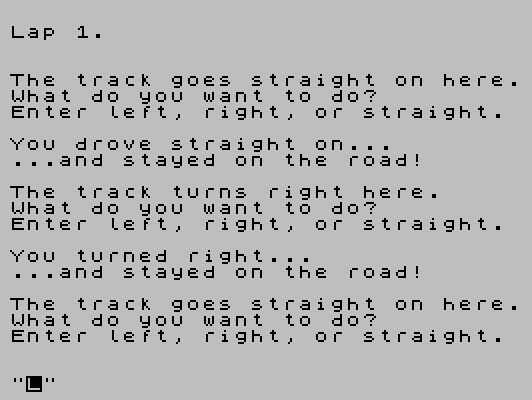 More than just a quick gag though, in this game each individual track layout has been painstakingly entered into DATA statements in the pursuit of an accurate and realistic text simulation. I just love the use of FLASH attribute on the chequered flags on the track selection screen. 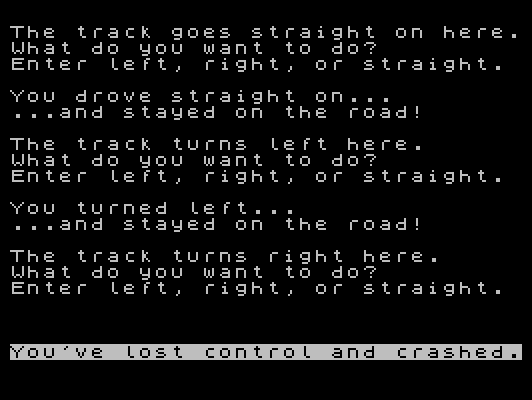 Make your way around one or two of the tracks by all means but a quest to play every track would only be attempted by the insane."